Thanks to Mountain Galleries in Whistler BC, I welcome a new collector to my Family of Collectors! 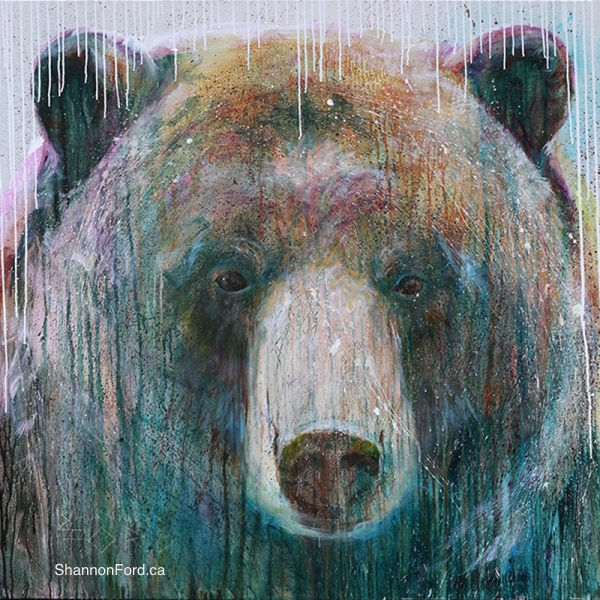 Grizzly in Pipestone #16 is now in a new home, I hope this one brings so much joy to everyone who sees it. I think the smoke in the Okanagan Valley really influenced some of my paintings last summer! Especially evident in this mysterious one. Thanks to Mark Dawn and Billy for teaching me so much about bears!